Today is the 93rd birthday of Eva Marie Saint. If ever asked to pick my favorite “Hitchcock Blonde,” I would have a very hard time picking just one. Eva Marie Saint is one of them for sure, maybe the first. 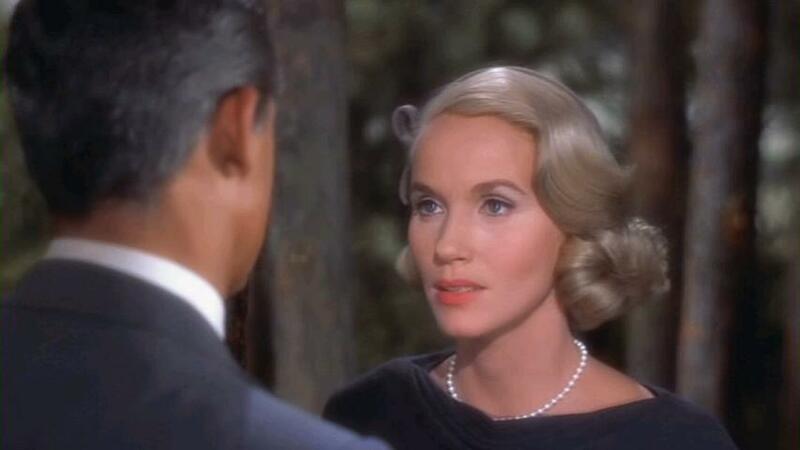 Her cool sexiness in North by Northwest is par none. My sister and I must have watched that film at least 25 times after school, it was the beginning of my obsession with Mid Century everything and that amazing Paramount VistaVision! You should also watch On The Waterfront to truly see her range, it is her first film and beyond legendary. The world is a better place because she is in it. HOLLYWOOD WALK OF FAME 6624 Hollywood Blvd. HOLLYWOOD WALK OF FAME 6730 Hollywood Blvd. BEST KNOWN FOR: Eva Marie Saint won an Oscar as Best Supporting Actress for her film debut, On the Waterfront with Marlon Brando, in which she told him to “Let your conscience tell you what to do”. Eva Marie Saint is an American actress who has starred in films, on Broadway, and on television in a career spanning seven decades. She won an Academy Award for Best Supporting Actress for her performance in the drama film On the Waterfront (1954), and later starred in the thriller film North by Northwest (1959), directed by Alfred Hitchcock. Saint received Golden Globe and BAFTA award nominations for the drama film A Hatful of Rain (1957) and won an Emmy Award for the television miniseries People Like Us (1990). Her film career also includes roles in Raintree County (1957), Because of Winn-Dixie (2005), and Superman Returns (2006). The film was a major success and launched Saint’s movie career. She starred with Don Murray in the pioneering drug-addiction drama, A Hatful of Rain (1957), for which she received a nomination for the “Best Foreign Actress” award from the British Academy of Film and Television, and the lavish Civil War epic Raintree County (also 1957) with Elizabeth Taylor and Montgomery Clift. Director Alfred Hitchcock surprised many by choosing Saint over dozens of other candidates for the femme fatale role in what was to become a suspense classic North by Northwest (1959) with Cary Grant and James Mason. Written by Ernest Lehman, the film updated and expanded upon the director’s early “wrong man” spy adventures of the 1930s, 1940s, and 1950s, including The 39 Steps, Young and Innocent, and Foreign Correspondent. North by Northwest became a box-office hit and an influence on spy films for decades. The film ranks number forty on the American Film Institute’s list of the 100 Greatest American Movies of All Time. At the time of the film’s production, much publicity was gained by Hitchcock’s decision to cut Saint’s waist-length blonde hair for the first time in her career. Hitchcock explained at the time, “Short hair gives Eva a more exotic look, in keeping with her role of the glamorous woman of my story. I wanted her dressed like a kept woman – smart, simple, subtle and quiet. In other words, anything but the bangles and beads type.” The director also worked with Saint to make her voice lower and huskier and even personally chose costumes for her during a shopping trip to Bergdorf Goodman in New York City. She has two stars on the Hollywood Walk of Fame, for motion pictures at 6624 Hollywood Boulevard, and television at 6730 Hollywood Boulevard.